St. Thomas College , Bhilai , under the aegis of Kalapratibha competition 2016-2017, organizing cultural and literary events. From 07-09-2016 till 10-09-2016. The events scheduled are as follows. 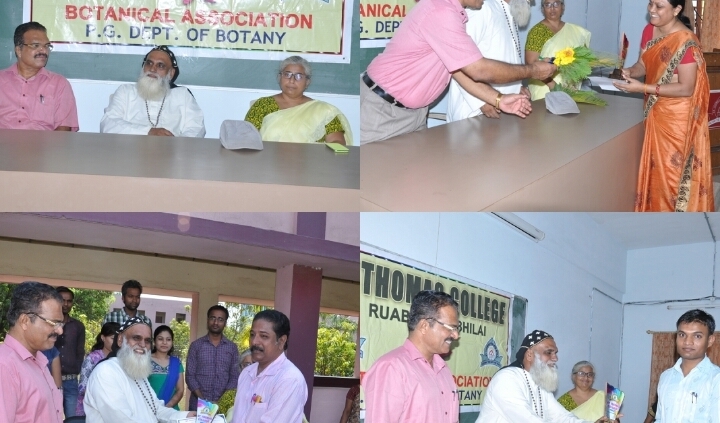 Kala-Pratibha Competition begins at St. Thomas College. 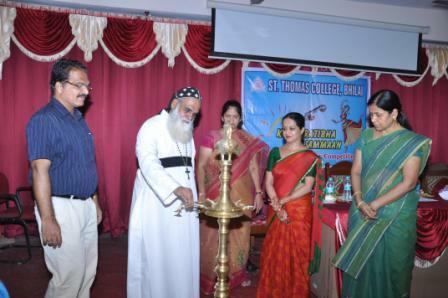 The Cultural and Literary events held under the aegis of Kala-Pratibha competition was inaugurated at St. Thomas College in a grand manner. The Chief Guest for the occasion was eminent Classical Dancer Dr. Richa Jogendra Thakur, Prof. Govt. W.W.P.P Girls College Durg. The auspicious occasion began by lighting the traditional lamp. Speaking on the occasion, Dr. Richa said that such events provide ample opportunity for the students to excel in their area of interest. V. Rev. Fr. George Mathew Ramban, in his presidential address mentioned that St. Thomas College has grown from strength to strength and has earned the coveted position in academics as well as in Co-Curricular and extra-Curricular activities . Principal Dr. M.G. Roymon welcomed the gathering. In his speech he explained the motto of “Kala-pratibha” competition and briefed the students about the various activities held under the aegis of “KalaPratibha “. Addressing the gathering the cultural Co-ordinator Dr. Jayasree Balasubramanian said that ‘Kala –Pratibha is more focused towards ‘talent Search’. The various cultural and literary events are held under Kala- Pratibha which helps to promote the hidden talents of the students in a recreational manner. She also emphasized that the college is committed to give maximum opportunity to the students to showcase their talents and thereby develop an attitude of healthy competition. Department of Microbiology & Biotechnology organised a seven day workshop on “Maintenance and Repair of Laboratory Instruments ” in collaboration with Western Regional Instrumentation Centre [WRIC] , Mumbai- A National Facility of UGC on 1 st August 2016 .
http://www.stthomascollegebhilai.in/wp-content/uploads/2016/08/wks-1.jpg 680 1024 St. Thomas College http://www.stthomascollegebhilai.in/wp-content/uploads/2016/07/logo-blue-new-1.png St. Thomas College2016-08-01 08:14:022016-09-24 05:21:36Workshop on " Maintenance and Repair of Laboratory Instruments "
Distribution of Medicinal Plants in St . Thomas College Bhilai . To create awareness among masses regarding medicinal plants, the state government would undertake a special drive during the last week of this month for free distribution of saplings under Home herbal garden scheme of Chhattisgarh Medicinal Plant Board (CMPB). 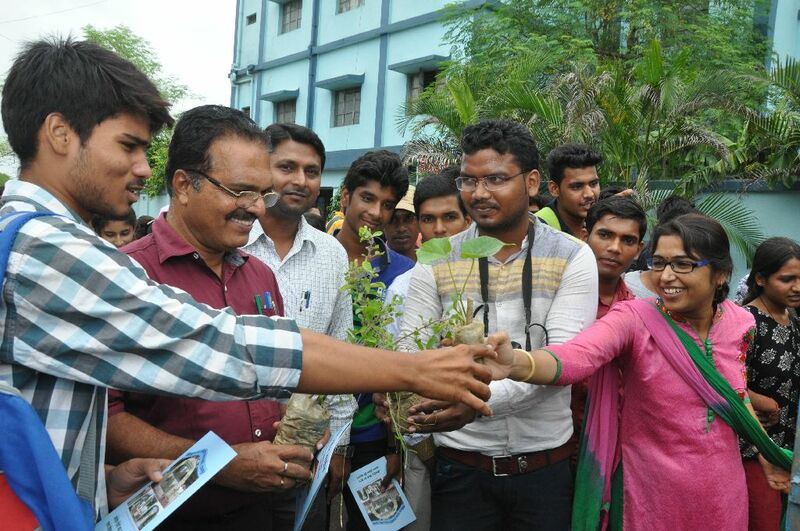 Inauguration of activities of Eco-Club and Botanical Association of St.Thomas College for the session 2016-17 was held by the distribution of medicinal plants provided by the Chhattisgarh Medicinal Plants Board. On this occasion, the Principal In-Charge, Dr. M.G.Roymon presided over the function. Dr. Vinita Thomas, Head of the Department of Botany and Convenor of Botanical Association addressed the gathering.Speaking on the occasion, To create awareness among masses regarding medicinal plants, the state government would undertake a special drive during the last week of this month for free distribution of saplings under Home herbal garden scheme of Chhattisgarh Medicinal Plant Board (CMPB). To create awareness among masses regarding medicinal plants, the state government would undertake a special drive during the last week of this month for free distribution of saplings under Home herbal garden scheme of Chhattisgarh Medicinal Plant Board (CMPB). To create awareness among masses regarding medicinal plants, the state government would undertake a special drive during the last week of this month for free distribution of saplings under Home herbal garden scheme of Chhattisgarh Medicinal Plant Board (CMPB). To create awareness among masses regarding medicinal plants, the state government would undertake a special drive during the last week of this month for free distribution of saplings under Home herbal garden scheme of Chhattisgarh Medicinal Plant Board (CMPB). she appreciated the efforts of the 8 forest divisions of the state for preparing saplings of medicinal plant and the initiative taken by the CMPB to distribute them free to create awareness towards medicinal plant. 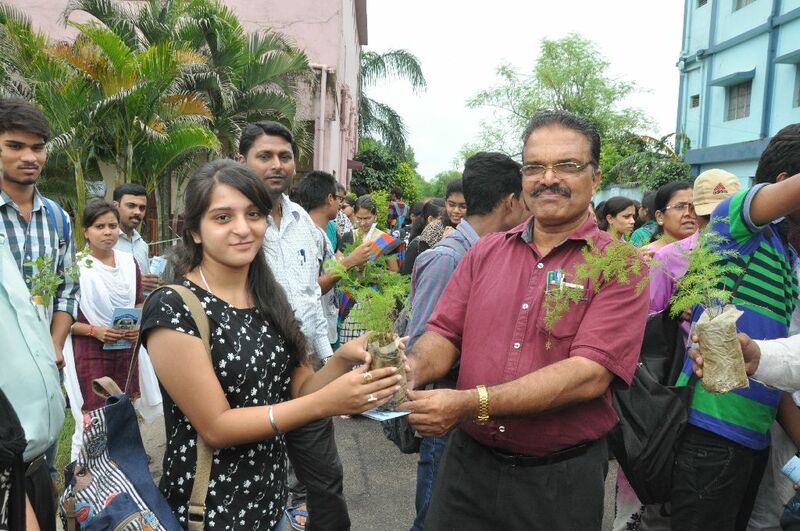 About 1000 saplings were distributed with the brochure among the staff and students of the college. 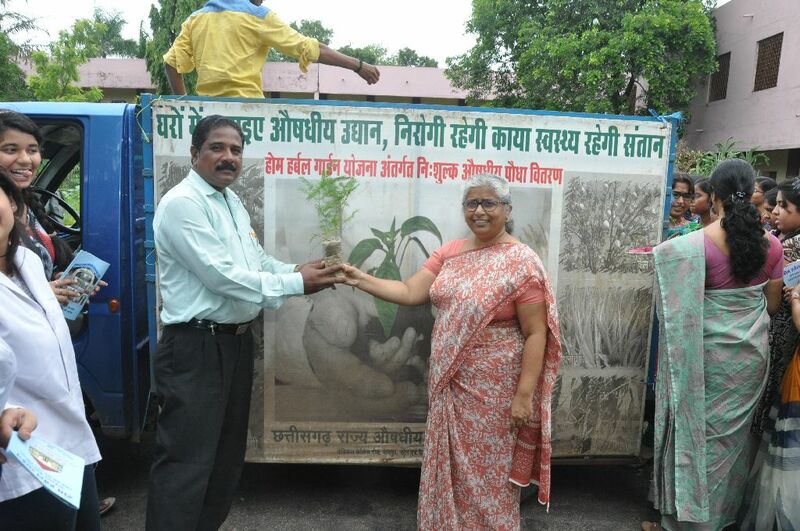 They also provided sapling for the college herbal garden with an intention of tree plantation. Dr. Malti Singh, Project Co-ordinator and Dr. Avinash Hembram, Assistant Co-ordinator were the special guests. Dr. Avinash gave a brief introduction to the scheme “Home Herbal Garden” and values medicinal plants for which Chhattisgarh has rich and unique diversity. 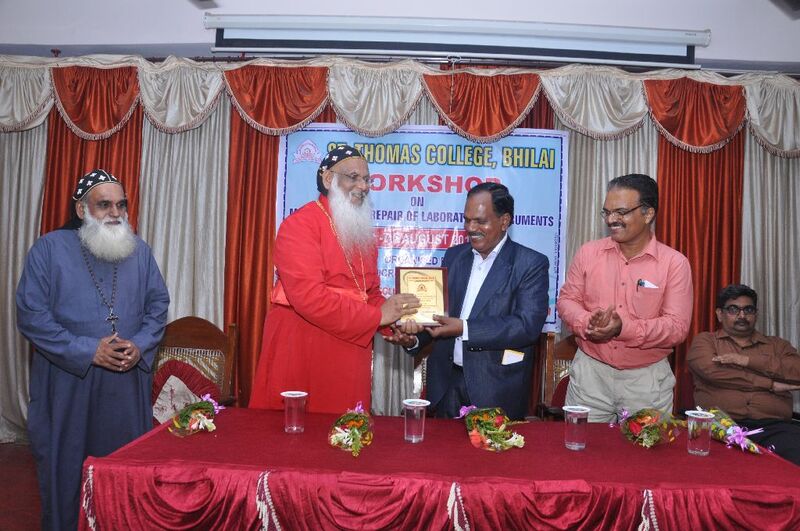 http://www.stthomascollegebhilai.in/wp-content/uploads/2016/07/medi-3.jpg 680 1024 St. Thomas College http://www.stthomascollegebhilai.in/wp-content/uploads/2016/07/logo-blue-new-1.png St. Thomas College2016-07-27 07:47:532016-08-09 06:58:04Distribution of Medicinal Plants in St . Thomas College Bhilai . 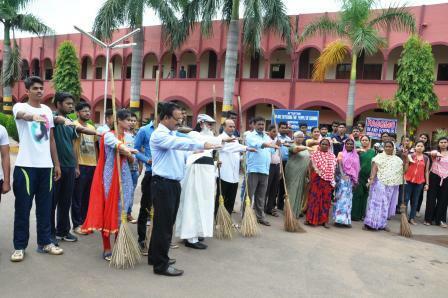 National Science Day was celebrated in St. Thomas College, Bhilai and was sponsored and catalyzed by CCOST and NCSTC, Department of Science and Technology, GOI. The theme being Make in India: Science and Technology Driven Innovations. Various activities like Intercollegiate Essay Writing Competition (Hindi and English) topic: /Make in India: Role of Skill Education, College Power Point Preparation and Presentation Competition (Any Discipline) topic – Innovations in Science and Technology in India and Popular Lecture Series (Science PG students) was conducted over a period of one month. Prof. M.M. Hambarde, Director General, CCOST, Raipur, CG was the chief guest of the Closing Ceremony and Prof. N.P. Dixit, Vice Chancellor, Durg Vishwavidyalaya presided over the function. Prof M.M. Hambarde expressed that National Science Day should not be celebrated or organized just to symbolize the day, but is meant to inspire young scientists and students. He further discussed about the motivation of being awarded and urged that it is not only for competition, but one should perform for their own satisfaction and sense of achievement. Prof. N.P. Dixit in his presidential address focused on research and innovations. He said that innovations are not that one reads in a book but it is that which is done through proper analytical studies. He emphasized that both students and teachers should follow ancient Vedas and Upanishads which are the real source of inventions in our country. Vice Principal, Dr. M. G. Roymon welcomed the gathering. Dr. Jayshree Bala Subramanium, HOD Department of Zoology presented a detailed report on various activities conducted and acknowledged the illustrious speakers Dr. R. D. Sarma, Department of Mathematics, Delhi University (Fuzzy set theory and its applications) and Dr. Utkarsh Ghate, Director, Covenant Centre for Development, Durg, C.G. (Homemade Science and Technology Inventions) for the popular lecture series, congratulated the prize winners in the competitions and motivated all the participants of the competitions as well as the PG students for attending the lecture series and enthusiastically participating in the discussion session. The winners of the competitions were awarded cash prizes. In Intercollegiate Hindi Essay Writing Competition Mr. Shubham Dewangan of IV Sem, CSE, BIT won the First Prize and Ms. Surbhi Deshpandey of Msc II Sem Mathematics, S S Swaropanand Saraswati Mahavidyalay, Bhilai won the Second Prize. In English Essay Writing Competition First Prize was bagged by Ms. Bhuveshwari Anandkar Gupta of BSc Part II, St. Thomas College, Bhilai and Second Prize was won by Ms Raj Lakshmi Verma of BSc III, also of St. Thomas College, Bhilai. 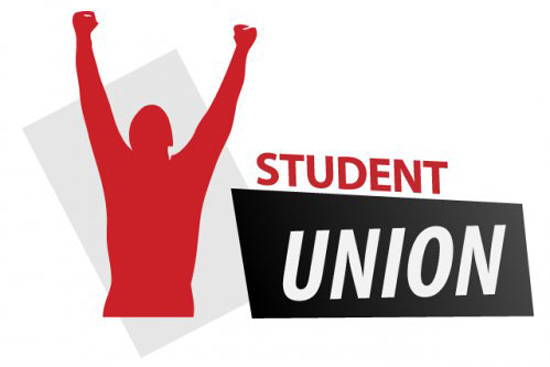 The cash prizes were Rs.1500 and Rs.1000 respectively. Mr Partha Sharma of BJMC IV Semester won First Prize (Rs 1250) and Ms Neelima Sinha of MSc Mathematics II Semester won the Second Prize (Rs 1000) in Power Point Preparation and Presentation Competition. 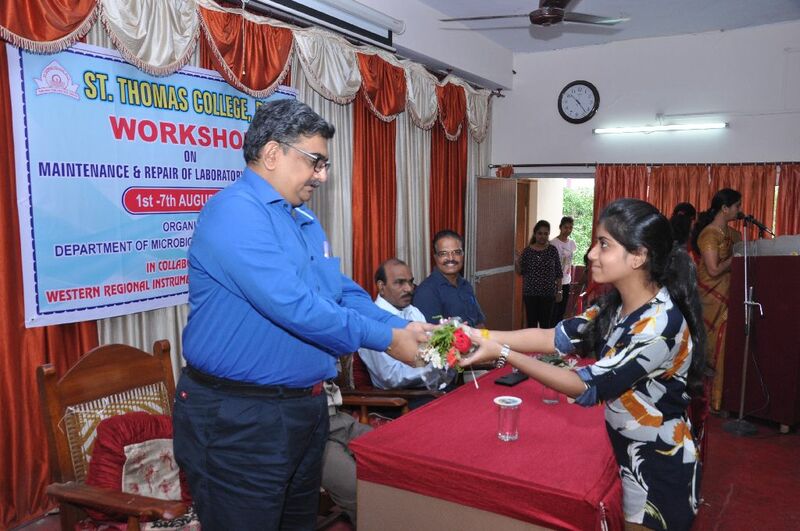 The programme was conducted by Dr. Jyoti Bakshi, Asst. Prof PG Dept. of Botany and Vote of Thanks was proposed by Dr. Suja Varghese, HOD PG Department of Mathematics and Computer Sciences. Adminstrator Rev. George Mathew Ramban, Dr. Vinita Thomas, HOD, P.G Department of Botany, Dr. James Matthew, HOD, P.G Department of Chemistry were present on the occasion.